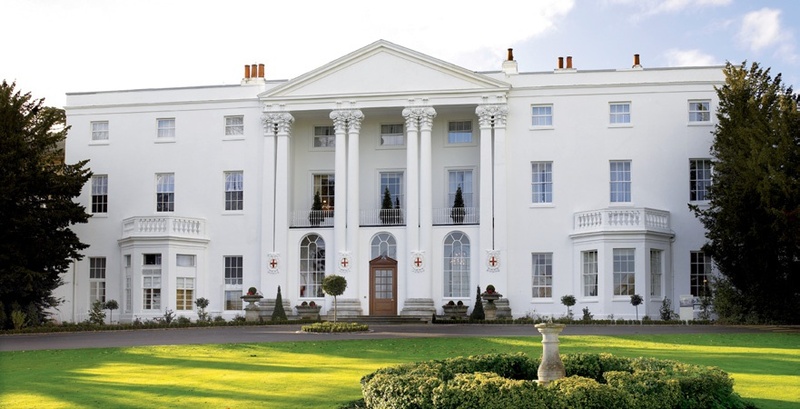 Registration for the 2019 ALPSP Annual Conference and Awards is well underway and our flagship event will be held at the Beaumont Estate, Old Windsor, Berkshire, UK from 11-13 September. Early bird rates have now ended and the standard rate will apply to all booking made before 1 July (the late rate will apply after this time). The ALPSP Conference provides a friendly forum in which to share information and knowledge, learn about new initiatives, and engage in open discussion on the challenges and opportunities facing publishing today. 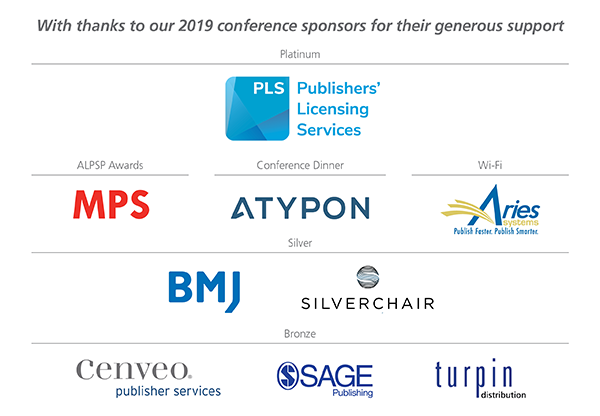 With expert speakers and a wide ranging programme, our annual event is for everyone in the scholarly publishing community. We also offer a range of sponsorship opportunities for this key event in the calendar, which attracts a high level audience from all sectors of the scholarly communications industry. It is an exciting time for scholarly publishing. Innovation and technology make it increasingly possible for research to be shared and published in new formats and more open and accessible ways. Combined with the opportunities presented by technology, there is an increasing demand - from funders, institutions and researchers - for research findings to be shared more quickly, openly and fully. But what are the challenges that the drive to open brings? How can we balance and manage some of the competing interests to ensure that the opportunities of open science are maximised? These sessions will put a lens on a few issues that are considered integral to open research: the promise and progress brought by open methodologies, how can open peer review support greater transparency and trust in research, and how can society publishers respond and thrive in the drive to open access? The scholarly community and publishing market is changing rapidly. Libraries, funders, scholars, and technology providers are testing new business models, innovating, and collaborating to solve large scale challenges unlike before. How do we enable open access and comply with mandates? Should you utilize open source or proprietary technologies in your organization? How can you make money from metadata? Who is doing exciting things in the industry? The plenary and parallel sessions in this track will answer these questions and more. How can we ensure that publishing more accurately reflects the diversity of the world we live in? Whether we talk about diversity in gender, geographic location, culture, career stage, or by discipline, how can we address this and measure and report on our success? Through our linked sessions we will examine ways to encourage all forms of diversity across our industry, as well as ways to hold ourselves accountable for progress towards these goals. Look out for more details on the programme soon. If you are not currently on the ALPSP mailing list and would like to be kept up-to-date with the conference, then please email susie.brown@alpsp.org. You can find out more about our 2019 sponsors here. If you are interested in sponsoring the ALPSP Conference, or any of our events, please contact Sabia Morrison at info@alpsp.org for more details. The audio files and pdf copies of slides are now available for all sessions. So, if you attended and want to revisit a plenary or parallel, or weren't able to make it and want to see what you missed, click here to listen and view. Photographs from the event can be viewed via Flickr here. View the Conference Highlights video here. For full details about the 2018 conference, including speakers and programme, please visit our dedicated website. ALPSP 2019 - booking open!